Nathan Horton has returned to the Columbus Blue Jackets lineup after rehabilitating from shoulder surgery and made an immediate impact. He has 4 points in 6 games, including the 200th goal of his career. This strong play and milestone moment make Nathan the Player of the Week! All NHL teams strive for success in the playoffs. The Stanley Cup is the ultimate prize in the game and without a doubt the carrot that dangles in front of every player and team. Players that have that experience and success in the post-season are always welcome additions to clubs as they load-up for success. 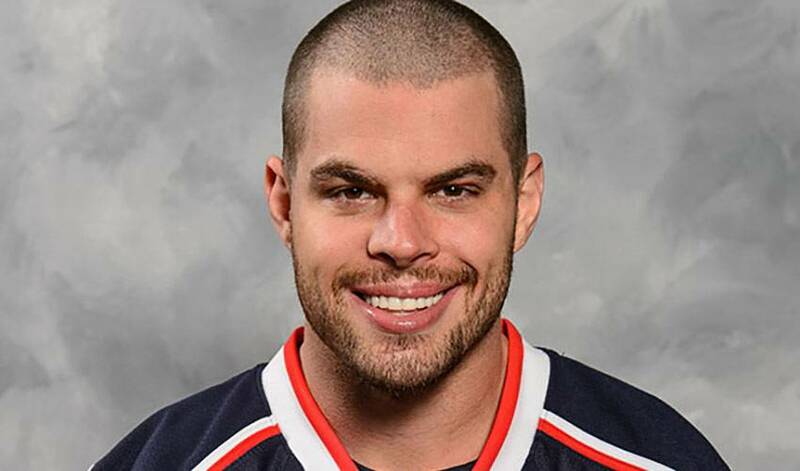 For the Columbus Blue Jackets, Nathan Horton is exactly this type of player. The power-forward who signed as a free-agent with the Blue Jackets in the summer of 2013 brings his goal-scoring talent and his Stanley Cup playoff pedigree to a club that is eager to find some post-season success of its own. Recently, after missing the first 40 games of the 2013-14 season following off-season shoulder surgery, the Welland, Ontario native made his debut with the Blue Jackets and he has made an immediate impact. In the six games since his return, Horton has already notched 2 goals and 2 assists for 4 points, along with an even +/- rating. One of the two goals that Nathan has netted since his return was a milestone tally, the 200th of his career. Married to Canadian model, Tammy Plante, who is the great-niece of NHL goaltending legend, Jacques Plante. Tammy is also a native of Welland, Ontario.